The image of aunt and nephew made us go 'awww'. The political battle in Rajasthan was over with Ashok Gehlot taking oath as chief minister of the state on Monday. 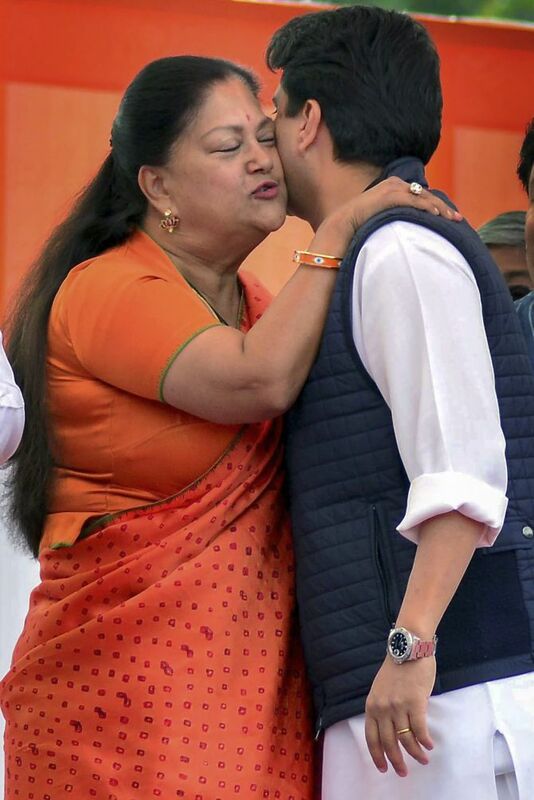 But the highlight of the event was former Rajasthan chief minister Vasundhara Raje and Congress leader Jyotiraditya Scindia hugging each other with smiling faces. Vasundhara Raje, 65, is the sister of Jyotiraditya Scindia’s father Madhavrao Scindia, who died in a plane crash in 2001. She was seen in a widely-circulated photo wrapping Jyotiraditya Scindia into a hug on the stage at the Albert Hall in Jaipur, her eyes closed with affection. The image was welcomed by all for its positivity at a time when politics in India have become quite devisive. And we have got to say, we love the image too!